Travel by to Karakul lake via the little town of Upal this morning (approximately 5-6 hours). The Upal country market is a great place to stop off to stretch your legs and browse through the food and daily supplies on sale. Next stop is Karakul Lake with the stunning snow capped Muztag Mountain as the backdrop. Here you’ll visit a Kyrgyz family, the local ethnic group living in this area. Try their specialty of milk tea, and there might be the opportunity for some traditional dishes for lunch. You’ll also see their handicrafts and learn a little about customs and daily life here. Then, continue on to Tashkurgan, where the Tajiks make up a sizeable part of the population – around 30,000 altogether. 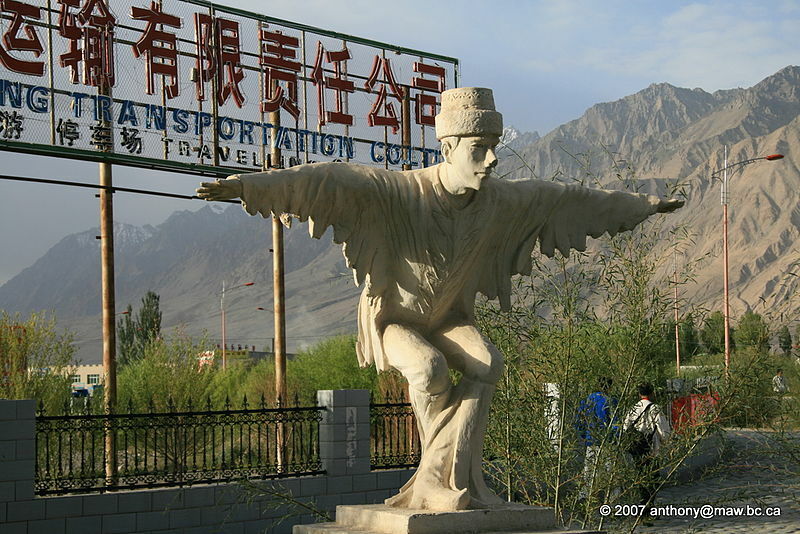 This town is the last town on the China side, situated high in the Pamir mountains along the border crossing between China and Pakistan. The options for accommodation are limited here, but you’ll stay in a local 3 star hotel for the night.